The good news is that for the first time, we now have extensive 2013 demographic-economic data for the 2013 vintage Core-Based Statistical Areas (2013 Metros). 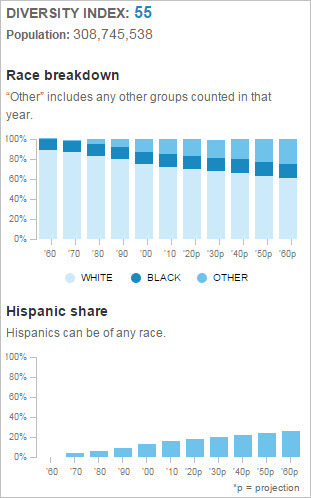 These data are from the 2013 American Community Survey (2013 ACS) 1-Year estimates program. Prior to this, data from recent annual ACS program were for earlier vintage CBSAs. 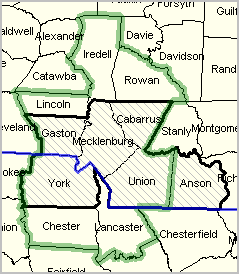 See graphic below showing the Charlotte-Concord-Gastonia, NC-SC MSA 2010 boundary compared to 2013 boundary. The bad news, in a sense, is that it is now more difficult to examine demographic-economic change (over time) for the CBSAs experiencing a change in county composition between these vintages. See the related Web section for interactive table and more details. Query used to select only metropolitan statistical areas. Metros then ranked on 2013 median household income. 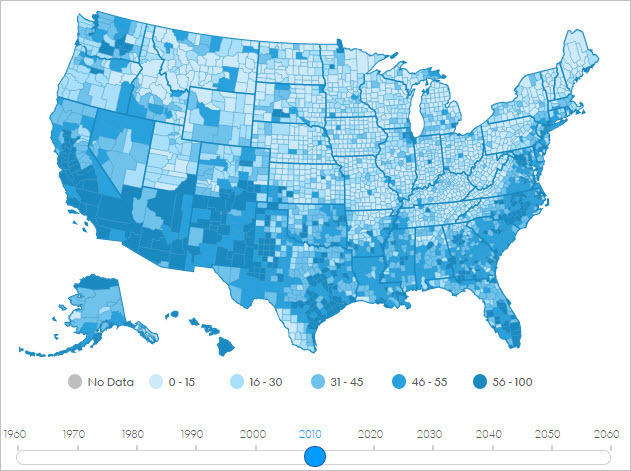 By changing the query, metros in a selected state could be ranked by MHI — or any item. See the related Web section for interactive table; perform this type of operation interactively for your areas of interest. 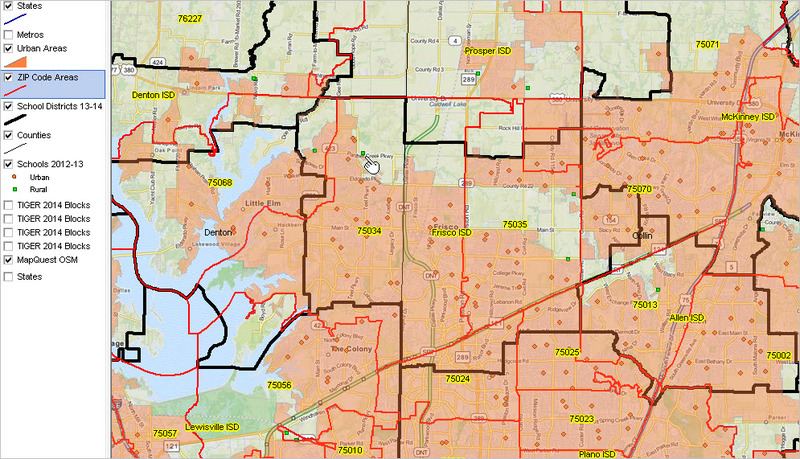 More than half of U.S. ZIP Code areas are 100% rural. 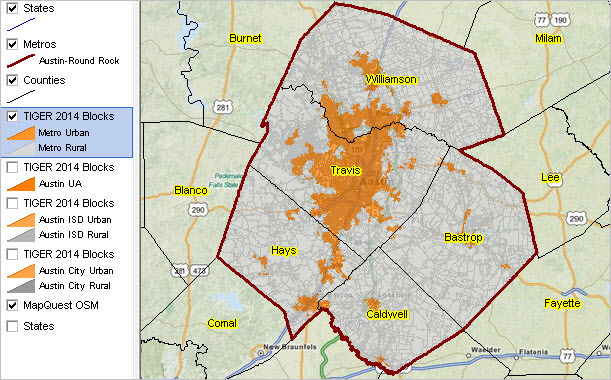 Nine ZIP Code areas have 100,000 or more population. 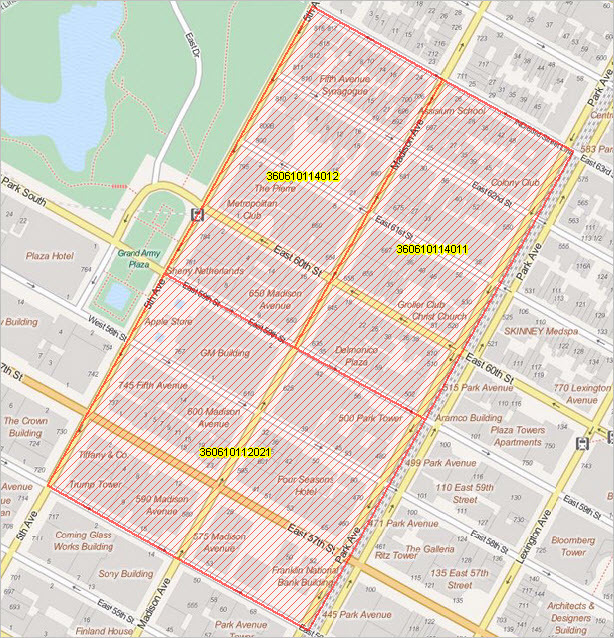 ZIP Code area 10028 (Manhattan), 0.3 square mile, has density of 143,683 population per square mile. 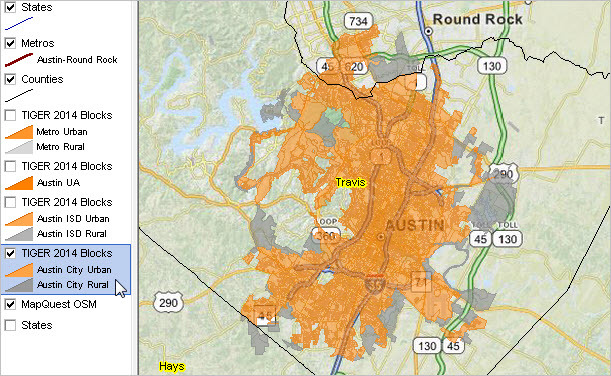 ZIP code demographics are widely used in analysis largely due to familiarity of ZIP code locations by code and availability of related data, such as address data. 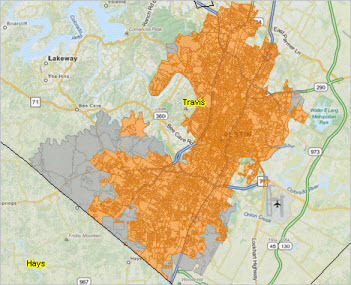 The Census 2010 ZIP Code Tabulation Areas (ZCTAs) are generalized geographic representations of U.S. 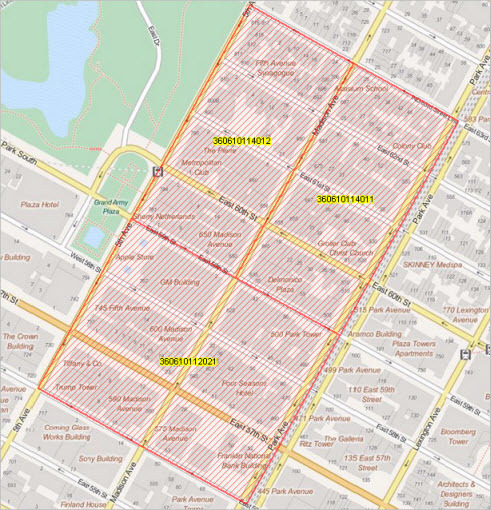 Postal Service ZIP Code service areas. 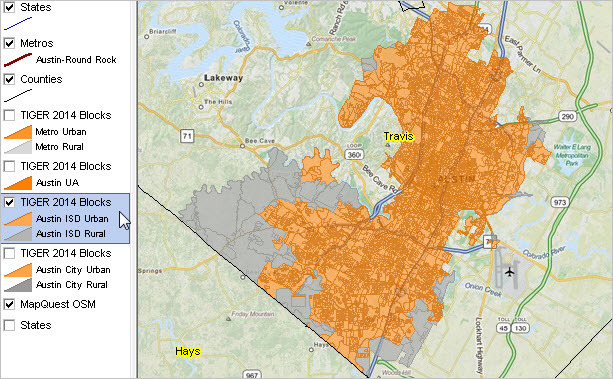 ZCTAs can provide insights into urban/rural patterns within and among ZIP Code areas. See related Web section for more details and data access. 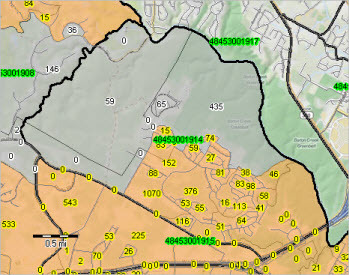 Of the 33,140 ZCTAs identified in Census 2010 Summary File 1, 5,236 ZCTAs were 100% urban and 17,033 ZCTAs were 100% rural. The remainder have some mix of urban/rural population. 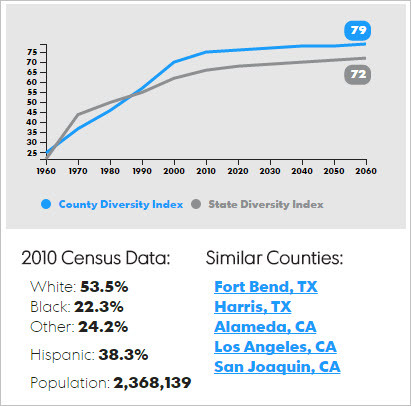 Use the interactive table in this section to examine Census 2010 ZIP Code Areas by population and housing units by urban/rural status. Land area, water area and population density are also shown. The graphic below shows ZIP 75034 (see also in ranking table below) located in Frisco ISD, TX area in Dallas, TX metro. 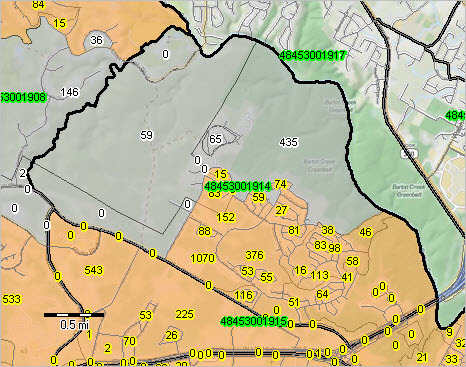 ZIP Code areas red boundaries; school districts black boundaries; urban schools green markers; rural schools orange markers; urban areas orange fill pattern. 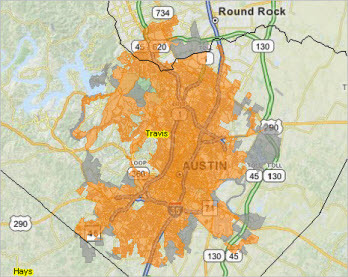 It is easy to see what parts of ZIP 75034 are urban (orange) versus rural (no fill pattern). Click graphic for larger view and details. View developed using CV XE GIS and related GIS project. See related section on K-12 schools by urban/rural status. 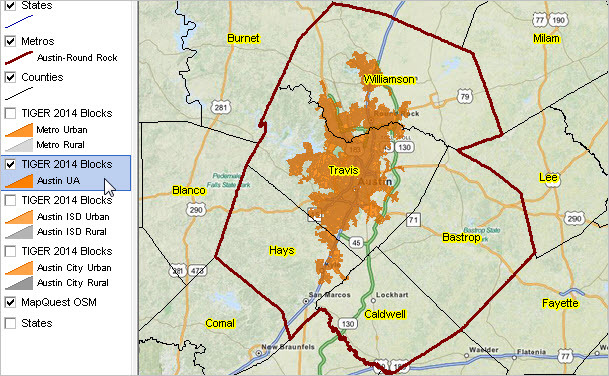 The following graphic shows the ZIP Code areas with largest population as of Census 2010. See interactive table in the related Web section.